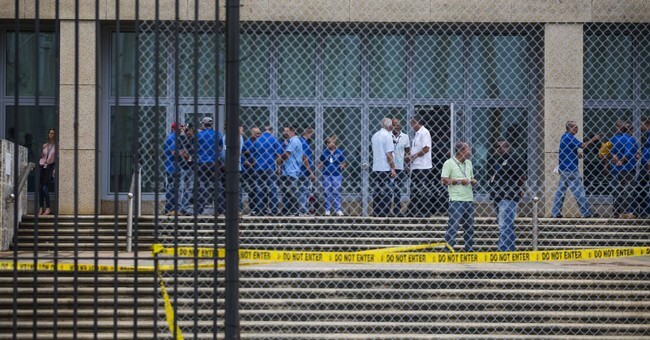 Cuba has a week to remove 15 diplomats from the embassy in Washington, D.C. as the mysterious attacks on U.S. diplomats in Cuba continue, the State Department announced Tuesday. “Until the government of Cuba can ensure the safety of our diplomats in Cuba, our embassy will be reduced to emergency personnel to minimize the number of diplomats at risk of exposure to harm,” Secretary of State Rex Tillerson said in a statement Tuesday. He emphasized that this does not change diplomatic relations with the country. Twenty-two U.S. personnel have experienced health issues in Cuba. Upwards of 50 attacks have been reported, some occurring late at night in the diplomats' homes or hotel rooms. The diplomats, who believe they were targeted, have reported cases of dizzy spells, nausea, headaches, tinnitus, fatigue and more.